A trio of girls wearing eye-catching streetwear styles with all black outfit, shearling jacket, printed pants, denim coat and footwear. Japanese students sporting colorful streetwear ensembles while out and about in Tokyo’s Harajuku neighborhood. 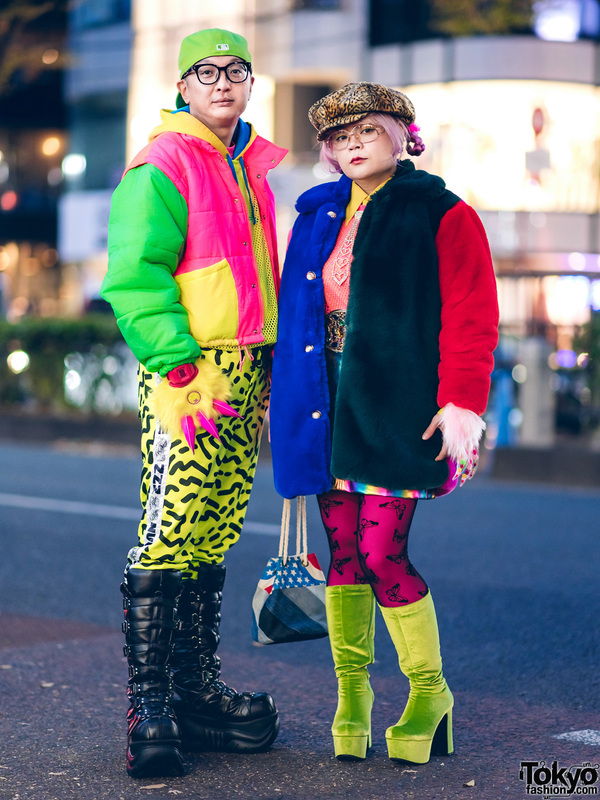 Japanese duo in colorful couple fashion with colorblocked jackets, printed pants, mesh shirts, platform buckle boots and velvet boots. 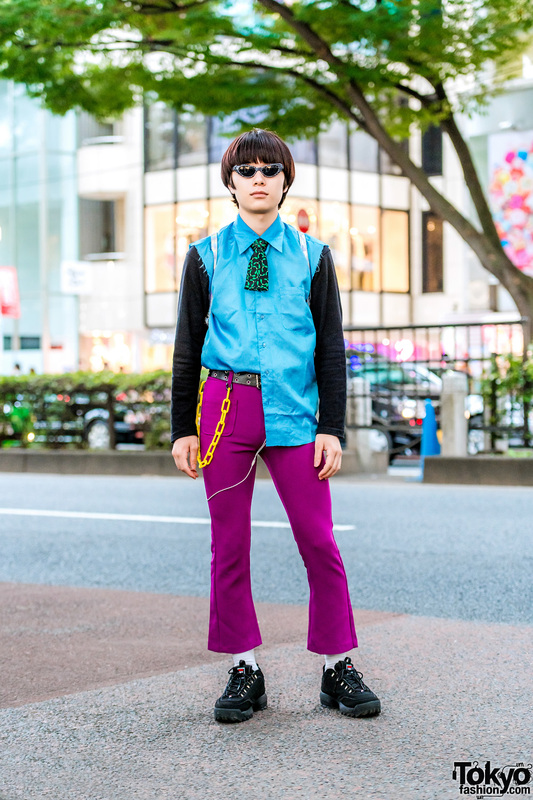 Japanese student with sporty chic street style in Harajuku. Harajuku girl dressed in an Astro Boy t-shirt, shorts, neon sneakers and a crossbody bag while out on the street. Japanese hair stylist sporting a strawberry print blouse, wide leg pants, white sneakers and a red Marilyn Monroe tote bag. Harajuku girls sporting colorful streetwear ensembles while out and about one late afternoon. 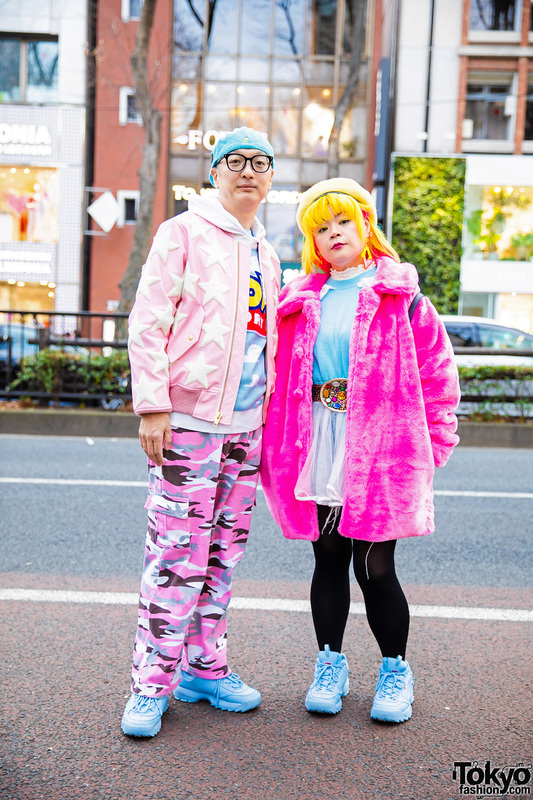 Japanese duo wearing edgy streetwear styles while out and about in Harajuku.